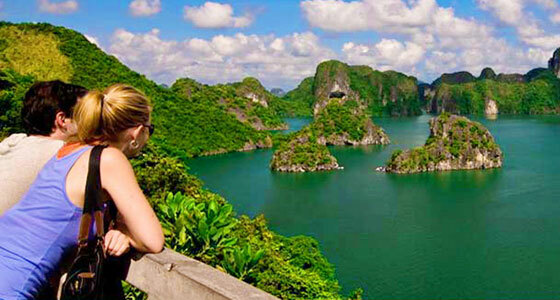 The new image of Ha Long Bay (Quang Ninh) were taken from inside the new commercial seaplane imported to Vietnam, at an altitude of nearly 1,000 meters. Bai Chay Bridge (a cable-stayed bridge) connecting from Bai Chay town to Hon Gai. These images were taken by pilot Pham Duy Long, one of the three pilots who drive the first two Vietnamese commercial seaplanes. 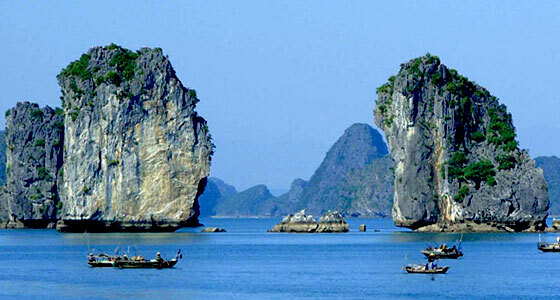 Ha Long Bay is located in northeastern Vietnam, It is a part of the western Gulf of Tonkin, includes Ha Long City, Cam Pha and a part of Van Don district. Southwestern borders of Cat Ba Island, westward to the mainland with a coastline of 120 km. 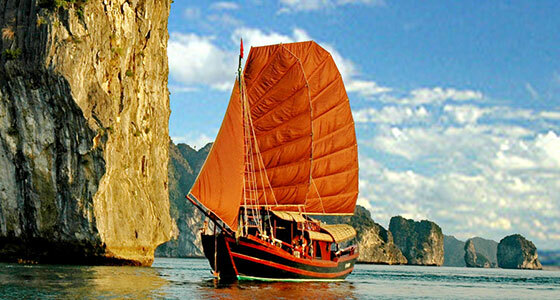 May 3/2012, Ha Long bay receive the title as one of the new seven natural wonders of the world organized by New Open World 7 launch.